We docked by 7:00am, but disembarkation was a very orderly and scheduled process (as it has to be to avoid an unseemly stampede). Since we were not trying to get to the airport, but were going to a hotel, we were in the last group to leave, about 9:15. I killed some time on the balcony observing the various doings out in the harbor. 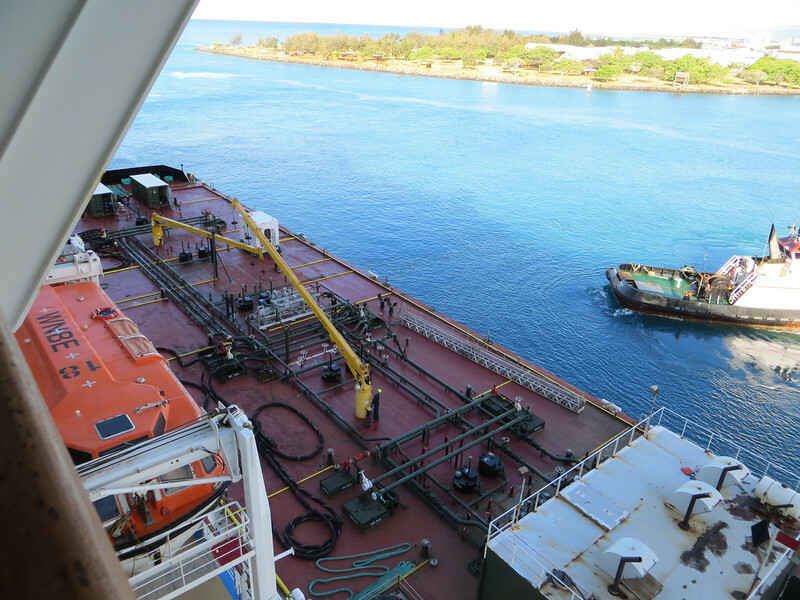 I was guessing that this operation right below us was refueling the ship.